Your gun may be marked IZH-513M or MP-513M and may have any one of these mfr names: IZH, IZH-Baikal or Baikal. They all come from the same plant and are manufactured to the same specs. The guns are identical. 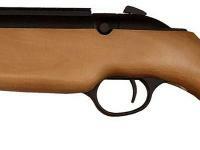 A magnum air rifle at an incredible price. 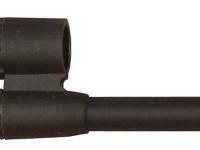 The IZH MP 513M is a breakbarrel spring-piston gun that flings lead at 1,000 fps! 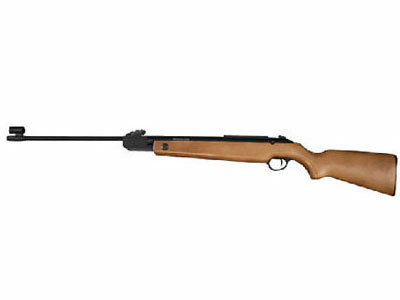 Made in Russia, the rifle has a hammer-forged steel barrel set inside a classic wood stock. The traditional good looks of the MP 513M have been combined with some interesting features. Once the rifle is cocked, you will not be able to pull the trigger to fire the gun until you pull back on the hammer. It also has a unique anti-beartrap mechanism to prevent the barrel from closing until the gun is fully cocked. 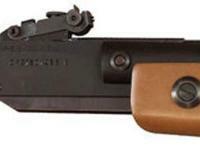 The anti-return system prevents the barrel from suddenly closing if the trigger is pulled while the gun is partially cocked. The MP 513M has a two-stage adjustable trigger, a fully adjustable rear sight and a hooded front sight with aperture inserts. Want to increase accuracy? Mount a scope or red dot on the 11mm dovetails (scope stop required). Good for plinking, shooting spinners and hunting small game and pests at medium range. Don't forget to click on the AMMO link for a list of recommended pellets. Check the ACCESSORIES link for scopes, lasers, red dots, mounts, fun targets and safety gear you'll need. What others should know: it is not for kids or those not used to magnum powered air rifles. Accuracy is good but not i had to move the rear sight a whole lot to the right to get it to sight in properly, not sure what that is about. Things I liked: Light weight, lovely finish, good safety features and awesome power. and yes built like a russian tank. Things I would have changed: A metal foresight please, just received mine and noticed that the dome was missing - broken away in transit i guess also the rear sight seems a little bent and the spring for the rear sight is missing, am waiting for Pyramid air to get back to me and sort it out. Mention which scopes we can use this with and also a preferred pellet or pellet weight as not all pellets perform well at 1000 fps. - I shall try a 10grn at least. - all said and done - would i buy another one - YES - great value for money/. What others should know: Everyone who has this says the same thing and i say it too - cocking effort is very high but i guess for this class of gun it is required, it is very powerful so keep out of reach of children. Things I liked: The power is amazing and it packs a real hard punch. The acuraccy is so good i shot a dime at 17 meters. What others should know: I saw some other revews complaining about the recoil, I can shot this gun all day, for me the recoil isn't a problem. The bottom line is this is an absolutely EPIC gun. Lots of features at a bargain price! Ideal for plinking and pest elimination.